Effective international marketing efforts require consistent balancing of business objectives and communication segments. Marketing communication channels expand with emerging technological trends. Marketing localization strategies are necessary to efficiently target suitable demographics for maximum exposure. These efforts should embrace local preferences, to ensure that targeted marketing messages are delivered by the most effective & economical channel. Effective localized marketing plans incorporate current global trends into the branding message. Including trends in the message can greatly assist in tying products and services to the real life situations which are faced by businesses & consumers. This provides an opportunity for companies to be accessible in a variety of localized scenarios. This method is also successful when used across the many different international marketing channels, and across markets & countries in an integrated way. New strategies and capabilities are required, to adequately develop locally-focused marketing campaigns. International marketing localization plans need to account for both target demographics, and local cultural norms to ensure that the proper message is delivered. And the messaging needs to be locally relevant. Buyers and potential prospects have greater access than ever to a plethora of on line information - and they make informed choices about potential purchases. But buyers are much less tolerant of generic advertising. Marketers now must confront that situation, along with the general marketing clutter which exists. 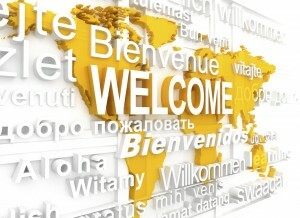 In order to get buyers' attention, marketing localization must be considered integral to overall marketing strategy. Companies engaged in exporting goods and services should shift their focus from the top level aspects, toward more secondary and nuanced aspects of international marketing. For example, being aware of the many linguistic and cultural complexities within foreign markets, and importantly selecting the proper channel and social media tools for each product/market requirement. Marketing communication is basically an art form, which, when accurately translated, is perceived as a branding message. However, when it comes to global markets, attention must be paid to marketing localization, because different target audiences have varied perceptions as to what appears new, or friendly or high-quality. These perceptions can vary greatly, depending upon the recipient's cultural perspective and context. Digital media has placed higher communication demands from marketers, companies, businesses, organizations and consumers. The new techno-speak, which is ever-evolving, requires that a variety of techniques be utilized in order to compete in any meaningful way. The many new avenues available require that marketing localization managers carefully choose methods to market their brands, services and products. Newspapers and billboards still prevail in some markets - in others, even the very most recent "emerging markets" rely on mobile internet for nearly all messaging. And social media savvy is reflected in the huge variety of locally focused tools - and American marketers must understand them all! 1. International marketing professionals must be aware of which messages will be perceived as appealing and relevant to targeted local audiences. This starts with a crystal clear understanding of how the local buyers and markets operate. 2. Technology tools which allow for brand control, while at the same time, enable a high level of cost effective, flexible customization must exist. This includes marketing automation tools and platforms that are not only effective, but user and budget friendly. In order for businesses to compete in today’s competitive global marketplace, international marketing localization efforts must focus more on relevance as an essential element of effective product and service promotion. Consilium Global Business Advisors has a suite of services to help American companies develop international business. Our export assistance programs include various marketing localization components, including international inbound marketing. Contact us to learn more.